Deciding who will care for your dog during long days away from home or for extended travel can be a difficult decision to make for loving pet parents. Many times, taking your dog with you just isn’t an option. Having a regular care provider that you can count on, plus having a backup plan will alleviate a lot of the stress involved when leaving your pet. There is not a “one size fits all” when it comes to caring for a pet. 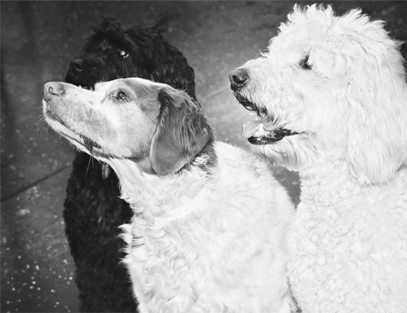 All dogs are different with varying personalities and needs, just like people. Not all dogs would do well in kennel type environment. Alternatively, there are plenty of dogs who would do much better away from home while the family is gone. Pet Sitters International (PSI) is the most respected and highly recognized advocates for pet sitting throughout the world. Wag ‘N’ Tails has been a proud member since 2005. PSI has many valuable resources that can help to get you started on finding the right care environment for your dog in your area. They also provide lots of great downloads and resources. Learn more here. There are several options to consider when you plan to be away from your pet. The same six tips below apply to any type of care you decide on. 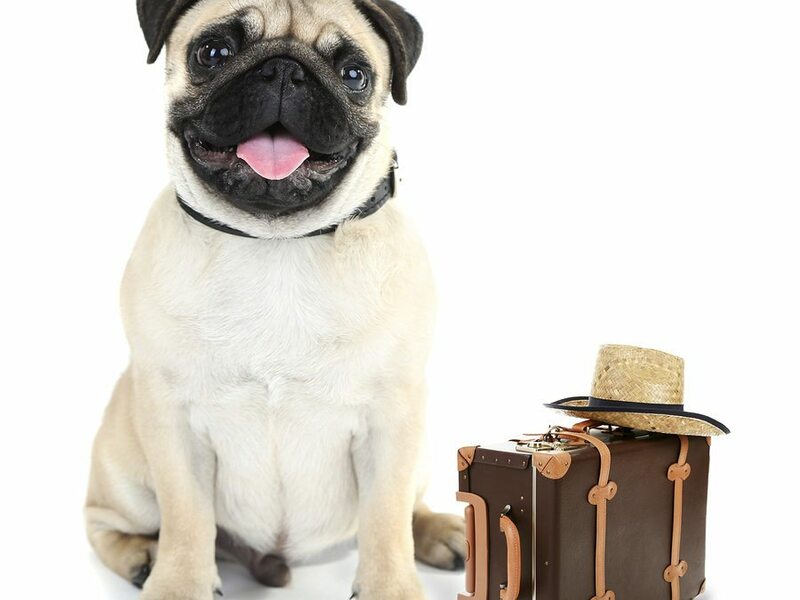 Whether you will be trusting a friend, a family member, or a professional boarding facility or pet sitter, following these quick tips will allow you to travel more and worry less! Go with your gut instinct when you interview your pet potential sitter. If you don’t feel warm and fuzzy inside, your dog probably won’t either! Once the caregiver or facility has been selected, allow your pet to become familiar with the care providers and/or the place you have chosen. The more opportunities your dog has to bond with their caregivers, the better! This will give you a chance to sniff out how you and your dog feel with each experience before you travel. Utilizing a care provider only when you’re going to be gone for a period of time, is not a good idea. It’s important that your dog is comfortable with the care providers, the change in the environment and routine, and becomes familiar with what to expect. If you only use a caregiver when you are gone for extended stays, your dog might not have a very good association with this person or place since they are associated with your absence! Most dogs appreciate routine and consistency. Keep this in mind when packing your dog’s belongings for their adventure. Pack the bed they frequently use at home, a favorite toy, a safe and tasty chew bone, yummy treats and do the best you can to keep your dog’s diet the same to prevent stomach upset. Providing a scent filled item with your scent is always a good idea too! A sweatshirt you wear, a washable blanket, etc. Using the same bag every time is also recommended. Eventually, your dog will know what’s happening when you grab that special bag! When you’re nervy, this can make your dog a nervous nellie too! If you followed tip #1, you should be looking forward to your time away. You deserve it after all! Be excited for your dog. Enjoy the drop-off experience and most likely your dog will too. You took the time to research and feel comfortable with your choice in a caregiver, and you’re confident your dog will be happy, safe and healthy. Picking the same word or cue each time you leave your pet with a care center or person is advised so you can create a clear expectation for your dog. As your dog ages with the care centers, simply saying, “Look! We’re at Wag!” for example, can go a long way. Times have changed, and pet parents are finally realizing the benefits to having a crate trained dog. A dog that can manage being independent and comfortable in a place they can call their own can make all the difference when it comes time for travel. Even teaching your dog how to feel comfortable behind baby gates is better than no confidence with confinement at all. Learn more about crate training here. Remember, when you’re chill, your dog should be fairly calm too. If you arrive to pick up your dog or come home and GO CRAZY with wild and exuberant “I missed you’s!” this is not a good idea. Be breezy. Humans come, humans go. It’s a part of life. If you act like it was the end of the world, most likely your dog will too. This will make things very hard on you, and most especially, your dog next time you need a little get away. If you follow these tips and tricks, you will find that with all the details involved in travel, caring for the dog will be the easiest thing for you on the “to do” list. You’re a devoted pet parent, and you deserve a vacation, remember? Travel more. Worry less.